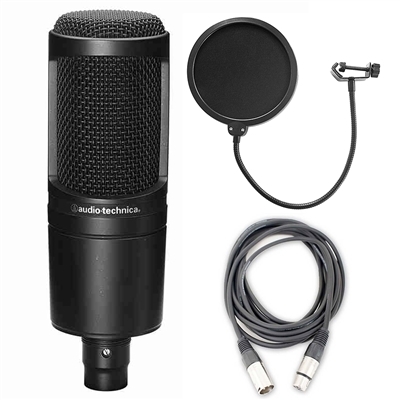 Audio-Technica's stringent quality and consistency standards set the AT2020 apart from other mics in its class. Its low-mass diaphragm is custom-engineered for extended frequency response and superior transient response. With rugged construction for durable performance, the microphone offers a wide dynamic range and handles high SPLs with ease. 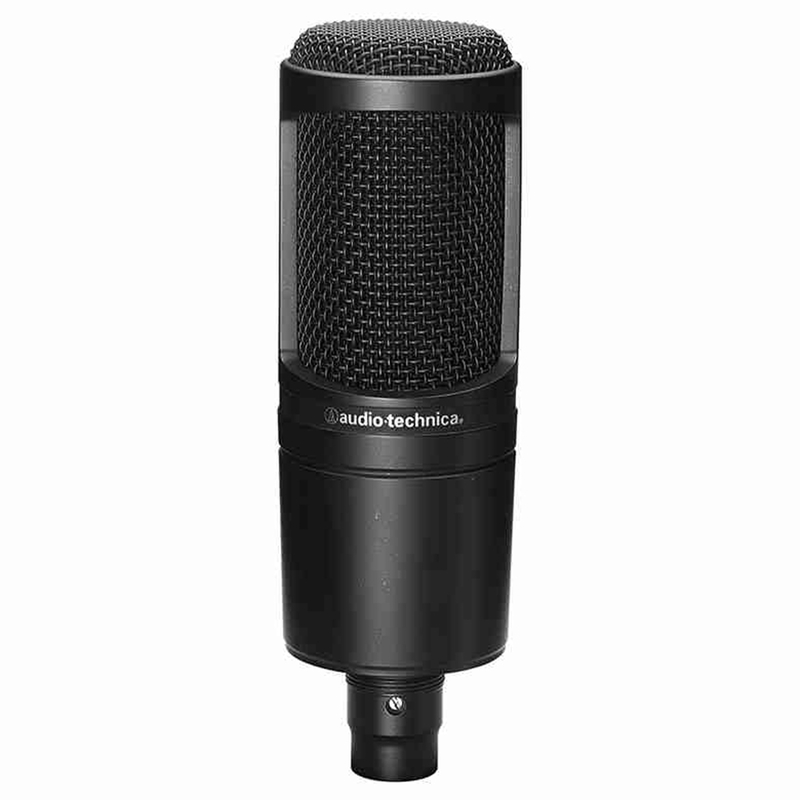 The AT2020: the new standard for affordable side-address studio condensers. 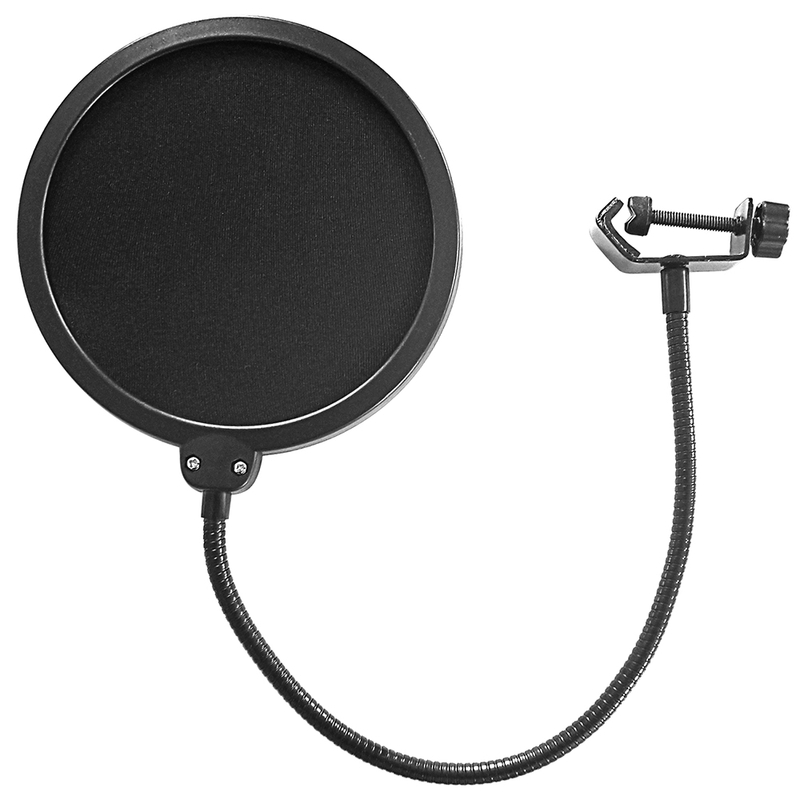 Filtering out pop and sibilance when recording vocals, the Axcessables Wind Pop Universal Microphone Pop Filter filters your voice for better vocals before it reaches the microphone. Sonically transparent, double-layered large 6" diameter nylon mesh center. Dual-layer mesh screen breaks up blasts of air without altering sound quality. Attaches to any mic stand with up to 1.25" diameter upper tubing. The 14.5" steel gooseneck allows for precise positioning. Economical solution to plosive problems that you won't be able to fix in the mix. Works with all brands of microphones and stands. 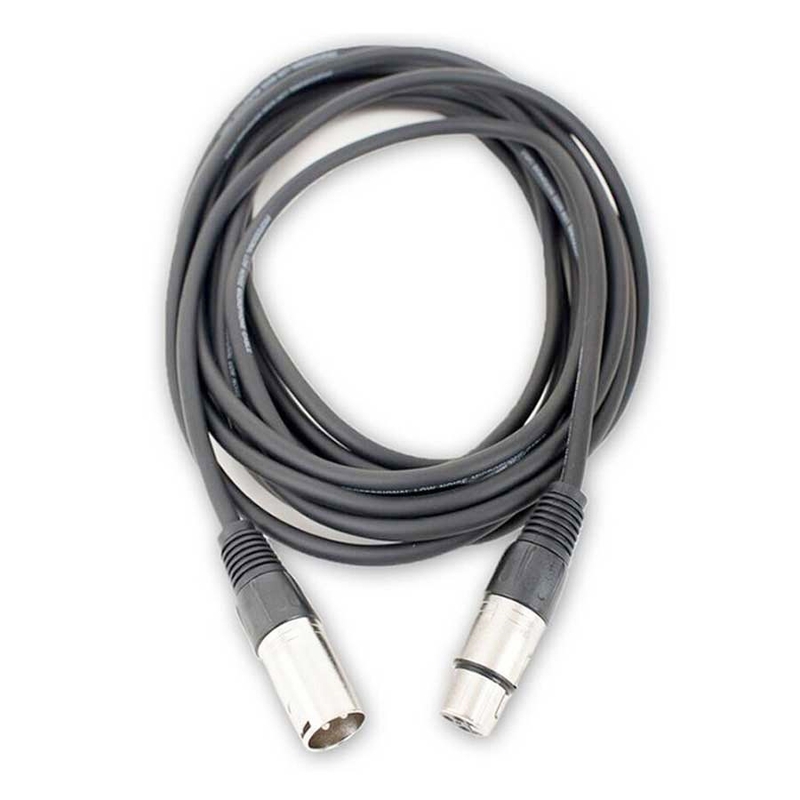 Connector 2 - XLR female.